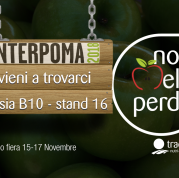 Tradecorp will be present at the Interpoma convention in Bolzano, Italy from the 15-17 of November. There will be an interactive stand, where a technician will lecture on the nutrition of pomefruit trees according to international standards. Interpoma is the biennial trade fair for the cultivation, conservation and commercialization of pomefruit and is the only event in the world that focuses on this niche. The objective of this convention is to internationally exhibit the entire process chain, from cultivation to storage and marketing. Thanks to Tradecorp’s experience in pomefruit nutrition, the technical staff of our company will be available to personally advise visitors with our best solutions for the cultivation of apple and pear trees. Our staff will be able to advise you in various languages: Italian, English, German, Spanish, Serbian, Croatian and Slovenian. Thanks to our Phylgreen Virtual Experience, you can travel to the coast of Ireland to experience first-hand, the journey of the Ascophyllum Nodosum seaweed, the key ingredient to our biostimulant Phylgreen. Interpoma is an agricultural fair that caters to the apple sector of the industry. This convention takes place in Bolzano, which is located in the southern region of Tryol, Italy. Its objective is to spread knowledge, research and innovation within the apple sector. Are you unable to attend the event? Like the Tradecorp Italy Facebook page, and you will be able view the Pomefruit Technical Forum from the comfort of your home, while also receiving updates about our presence during the convention.